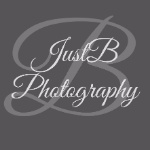 At JustB Photography, we specialize in Family Portraits...and we LOVE it! We love getting your family together and simply letting you be YOU while we snap some portraits! Our Family sessions are held at an outdoor location and can last from 30 minutes to one hour. We strive to make your session care-free and relaxed and love capturing candids of your family enjoying time spent together. I can honestly say, I've never heard someone say they regretted getting family portraits done... but I always hear people wishing they had gotten some done when they did not. Don't let this stage of your family's life pass without documentation! You will never get this time, this stage, this age, back. But you can certainly have it frozen in time via portraits. We would LOVE to freeze time for you! For pricing or to schedule a session, contact us here.